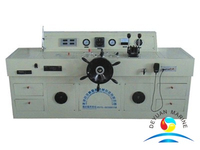 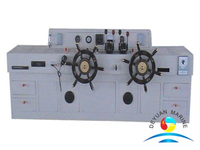 Marine oscillating cylinder hydraulic steering gear consists of one set of two piston cylinder composed of the steering mechanism, two oil pump units, one fuel tank and one console; in the wheelhouse rotate hand wheel, through the helm pump control hydraulic Oil flow into and out of the cylinder, pushing the rudder blade, to achieve steering; steering gear can also via control the solenoid valve steering switch to achieve reversing; when the power failure, through helm pump to achieve emergency steering. 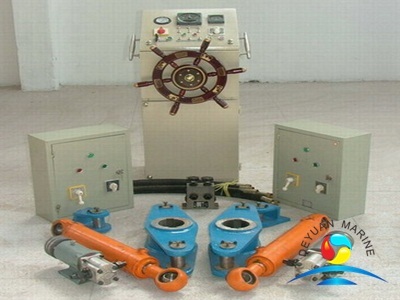 This kind of steering gear is widely used in the Inland rapids area, non-rapid flow area, coastal fishing boats, small sightseeing cruise. 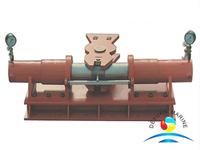 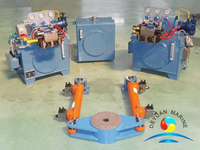 As per different driven type, it can divide into hydraulic steeing gear and electric steering gear. 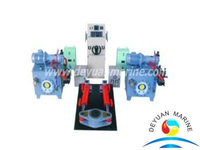 Whie now more popular using type is electric steering gear. 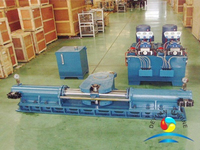 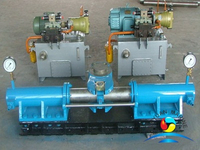 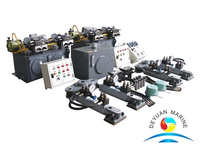 Oscillating cylinder type steering gear, according to control type it can divide into 2 types, one is directly manual control type, another is automatic eletric control type. 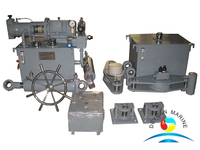 this steering gear is composed of two sets of motor pump group, steering valve group, push steering mechanism, hydraulic system valve assembly and wheelhouse consol. 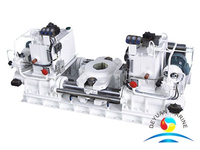 via full hydraulic helm pump and manual reversing valve to control the hydraulic oil into and out of the cylinder to drive the rudder shaft then complete the steering task. 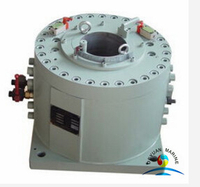 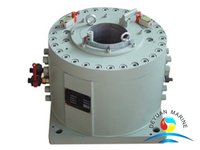 All of our marine steering gear can provide marine certificate, such as CCS, ABS, DNV, BV, RINA, BKI etc. 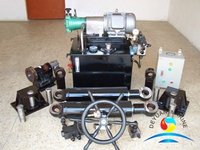 For more steering gear, kindly welcome contact with us! 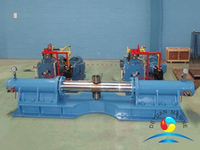 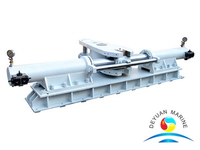 More tilt type hydraulic steering gear can be offered,pls contact us for more details.